My name is Raphael Nzirubusa. "He said, 'Raphael there’s a war going on in Burundi, they just killed the president and things are likely to be bad.'" Ever since the unrest in Burundi erupted, Raphael Nzirubusa has anxiously followed the news from New York. This is not the first time he’s forced to watch from afar while turbulent events unfold in his home country. The last time Burundi went into civil war was 1993. Nzirubusa has just arrived in the US. He was 24 and determined to get an education in America to help develop his country. But being here while his family suffered from the conflict back home changed his life. Nzirubusa was mid-way through his masters program in Colorado when, in October of 1993, the majority-Hutu group began to massacre minority-Tutsis, in what was later defined as acts of genocide. Nzirubusa and his family are Tutsis. Nzirubusa could not reach his mother and two sisters for five long days. Meantime, he heard that militia groups were killing Tutsis with machetes on the streets of his hometown. Fortunately, his family was in hiding and was saved. But as news of war from Burundi continued, Nzirubusa couldn’t help thinking about going back there, despite the risks. “I couldn’t really rationalize what’s the purpose in life if I’m the only one staying and everyone is gone,” he explains. “That was my thinking, not rational. ... I remember going to church and priest is saying, "We’ll pray for you but you’re going to have to stay.’"
Half of Nzirubusa’s extended family was killed and his mother and two sisters ended up in his uncle’s house in Burundi’s capital, Bujumbura. But the war didn’t come to an end until 2005 and it was extremely difficult for them to survive. When Nzirubusa graduated from his program, he once again faced the dilemma of going back home. He decided to stay and work for the university so he could help his family in Burundi. Today, Nzirubusa works in finance in New York and lives there with his wife and children. I’m Aaron Schachter with The World. Burundi is holding elections today. The vote comes amid heightened tensions in the African country. There’s been unrest for months ever since Burundi’s incumbent president announced he would run for a third term which goes against the country’s constitution. Many fear that another civil war could break out. The last war in Burundi erupted in 1993. That conflicted pitted Hutus against Tutsis, just like in neighboring Rwanda. Raphael Nzirubusa remembers that time well. He lives in New York but he’s from Burundi and in 1993, he just arrived in the U.S. He recently told his story to reporter, Yael Even-Or. When I came in ’92, the whole purpose was to come here to go to school, getting a Master’s degree in Economics, Agro Econ. The government of Burundi which at that time employed me. They saw me as a potential resource for the country, and they gave me the opportunity. When I first came I didn’t speak any english. Most Burundi speak Kirundi. Nzirubusa went to the University of Arkansas for an English program and something he saw in the streets here surprised him. People begging for food. That was a shock. I would never imagine in a million years that I would go to the United States and see people begging…for anything… for food or money or anything. Then, things changed back home. It was October of 1993. The majority Hutu group killed about 25,000 minority Tutsis, and Nzirubusa’s family are Tutsis. Later, this would be called “acts of genocide”. A friend of mine who worked for the embassy at that time, he called me real late at night around 2am. He said “Raphael, there is a war going on in Burundi, they just killed the president and things are likely to bad”. I couldn’t get a hold of my parents, my mother, and my two sisters. I was very scared because I didn’t know what happened to them. They they were in hiding for about 5 days because there were a bunch of militia people with machetes that wanted to kill every Tutsis they could run into. You have two choices: 1. You go back. You have a hot chance of being killed and you won’t have anyone in your family. 2. You stay here…you’re safe. It’s going to be hard for you, but you’ll be able to survive and we have good chance to help whoever survives the war. I could not really rationalize what’s the purpose in life if I am the only one staying and everybody is gone. He stayed in the U.S. and hoped that his family in Burundi would be okay. His mother and two sisters escaped though, and ended up in Burundi’s capitol, Bujumbura. But they could barely get by and Nzirubusa got a job here at the university to support them. I was sending money for food. I was sending money for clothing. Whatever it is they needed I send because I could support them and I did. Raphael Nzirubusa told his story to reporter, Yael Even-Or. It’s part of our project called “First Days”, where we ask immigrants to recall their first days in America. 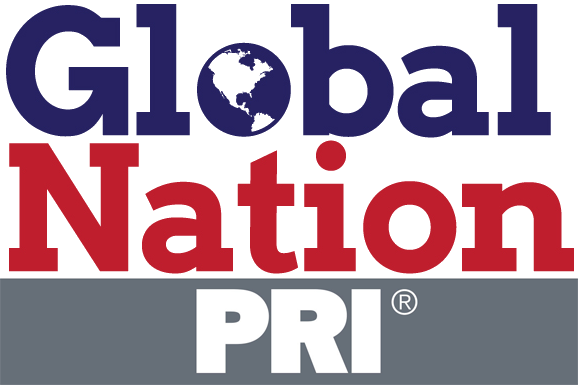 Why don’t you tell us your story or your family’s story about your new life in the U.S. Share it with us at pri.org/firstdays.